Amazing local fantasy reads are a few and far between these days. It is somewhat a bit of rarity, or admittedly I may just not know where to look. But sometimes I get so lucky that I stumble upon such a rare treasure. 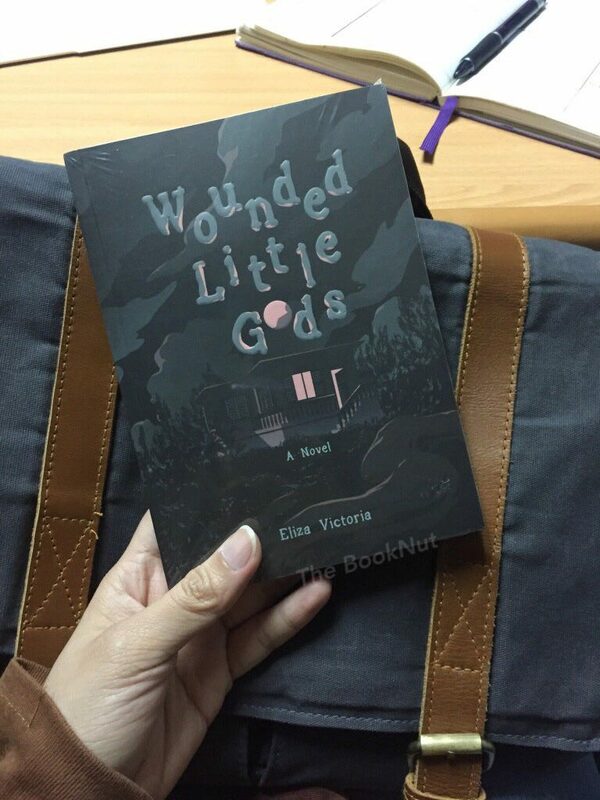 When me and my colleague/ fellow book enthusiast saw copies of Wounded Little Gods by Eliza Victoria, we remember seeing her name somewhere, we immediately picked up the last pieces displayed on the shelf. A few more minutes after reading the synopsis on the back, we were off to the cashier to pay for our new purchases. The story of Wounded Little Gods is about Regina her little hometown named Heridos, where spirits used to roam. Heridos is your usual province outside the metro, and for most of us, it’s what we call home. Regina is your average fresh out of college yuppie: stuck at a first job that’s not even directly related to your degree, but hey it’s alright because it means to an end. It’s still a paycheck at the end of the day, up until you land that dream job you’ve truly been aiming for. Regina’s life in the metro is just normal, uneventful most of the time. But one Friday night would change it all when she gets acquainted with Diana. Diana who shares a strange conversation with Regina and adds up the mystery when Diana doesn’t show up to work on Monday. And the day after that. Diana just disappears. Regina may have thought of it as nothing, maybe Diana moved to new company finally fed up with their work, just that she did it without telling anyone else. But then Regina discovers a piece of paper in her bag, a piece of paper with Diana’s handwriting, two names and a map. A map that will send Regina rushing home, back to Heridos. Eliza Victoria’s Wounded Little Gods is unique and imaginative. She was able to narrate an original story laced with rich Filipino folklore. It captures your imagination and it takes you along with Regina to a journey of discovery that will lead to the unraveling of the mysteries of the past and present. The puzzles that float around the little town of Heridos and the unknown forces surrounding this rural village. The added familial dynamics creates another dimension to the story. Just when you think you know where the story is headed, Eliza Victoria will prove otherwise. 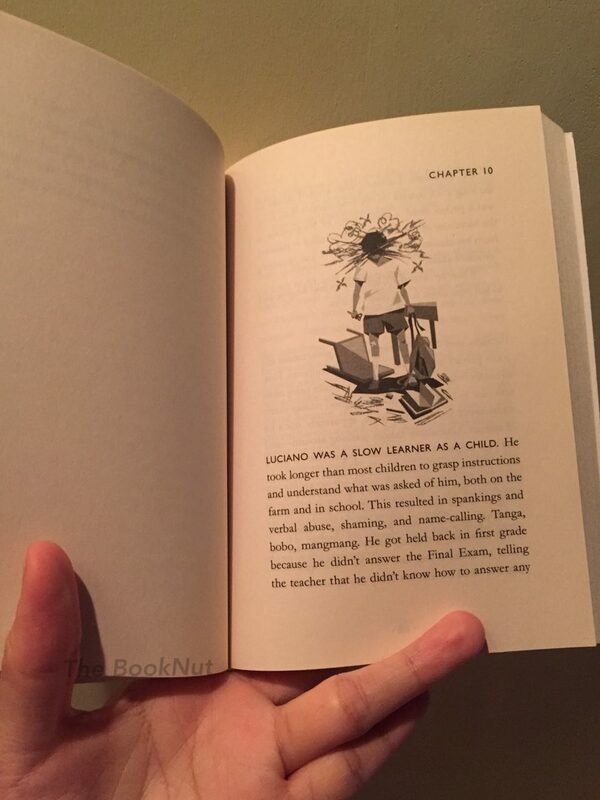 I’m so glad I discovered this book, it may be shorter than any of the fantasy reads you’re accustomed to but here she proves that you can enamor your audience even with a much thinner page count. Eliza Victoria is now definitely included to my list of notable Filipino authors. I look forward to reading more of her works in the future. This sounds really interesting and I’ll have to see if I can find a copy. Thanks for the recommendation and great review!